THE KEY TO INCREASING YOUR RENTAL RATES OR MARKET VALUE MAY LIE WITHIN ONE SIMPLE CONCEPT – ESTABLISHING A TIMELESS LOOK WITH YOUR RENTAL PROPERTY RENOVATIONS. WHEN YOU THINK OF CLASSICAL DESIGNS, THOUGHTS OF ROMAN ARCHITECTURE MAY COME TO MIND, OR PERHAPS YOU’RE REMEMBERING A COMMON OLDIE: THAT CHECKERBOARD PATTERNED BLACK AND WHITE TILE FLOOR. CLASSICAL YES, TIMELESS – NOT BY A LONG SHOT. NOTICE HOW OUTDATED SHAG CARPET AND AVOCADO GREEN APPLIANCES LOOKED TEN YEARS AGO, BUT NOW THESE ARE OFTEN “SPECIAL ORDER” ITEMS THAT COST FAR MORE THAN COMPARABLE ITEMS. 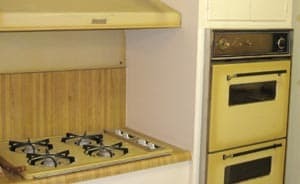 RETRO IS “IN” NOW, BUT IT LIKELY WON’T BE IN A DECADE, AND WISE INVESTORS KEEP THIS IN MIND WHEN CONSIDERING INVESTING IN PROFITABLE RENTAL PROPERTY RENOVATIONS. WHETHER YOU PLAN TO REMODEL BATHROOMS, THE KITCHEN, OR UPDATE THE FLOORING OR OTHER AREAS, KEEP THESE TIPS FOR TIMELESS DESIGN ELEMENTS IN MIND. Harvest gold is DATED, not timeless. Revamp free standing stairs, countertops, and flooring with an installation crafted from natural materials. Wood slabs are a particularly attractive option for stairways, cabinets, and shelving that can authentically add a touch of timeless class to any home. Consider using “clear” wood species such as alder or maple enhanced with medium stains boasting a natural look that will retain their timeless look for decades to come. 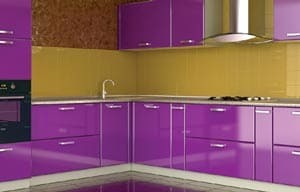 Countertop and flooring renovations add both beauty and value to rental properties, and quartz, tile, and granite make ideal selections; however, choosing timeless hues and patterns is vital. Back in the 70s yellow and gold tints were wildly popular. Today, these colors represent expressions of the past and you don’t want your decor to date your property, so stick with neutral, natural grains and patterns, especially when dealing with major design components such as flooring renovations. The elements of style and taste greatly vary, so try and stay away from uber trendy renovations. The elements of style and taste greatly vary, so before delving into making big changes to rooms in efforts to give the place a little character, consider the fact that renters may not share your vision. 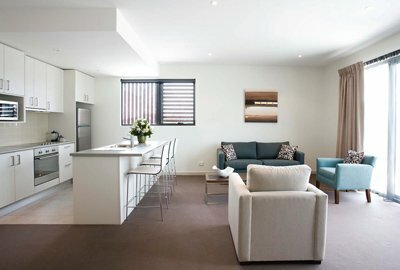 A prime example of good intentions gone wrong is when home or rental property investors choose to update bathrooms and kitchens for the fantastic return on investment, yet the rest of the house goes untouched. Establishing a design trend in one or two rooms without carrying it throughout the house is a huge no-no. By all means make the necessary repairs, but reconsider using these renovations as a chance to establish a theme. Storage space never goes out of style, so if you’re itching to make a rental property improvement, consider installing shelving along bare walls. Functional and stylish, storage space is much appreciated, particularly in the kitchen cabinetry department. Painting, carpeting, flooring, and appliances should be neutral in color, so as to not deter potential renters interest simply because your decor doesn’t “match” or “fit in” with their existing components. The key to success when renovating rental units is to stick with the timeless, classical look, leaving the design elements up to the tenant.